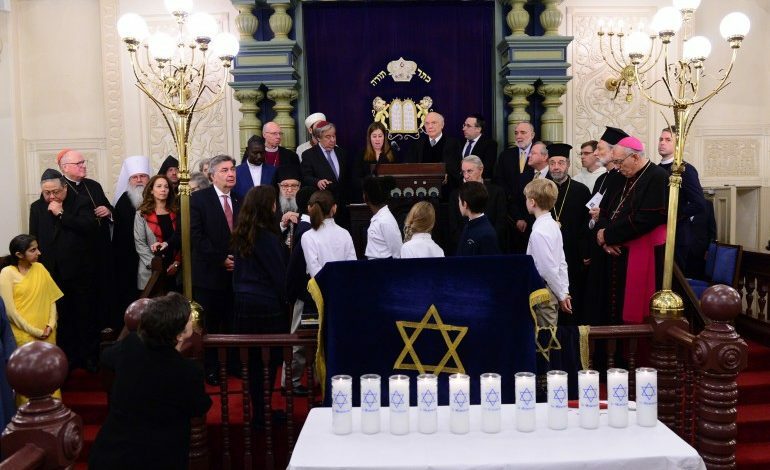 His Eminence Archbishop Demetrios of America, joined other distinguished religious leaders today in the Park East Synagogue, in a memorial event titled “United Against Hate,” an inter-religious gathering of Leaders in solidarity with Pittsburgh and the victims of the massacre at the Tree of Life Synagogue. Secretary General of the United Nations Antonio Guterres, who spoke next, mentioned the growing number of incidents of anti-Semitism and the alarming signs of neo-Nazism, xenophobia and racism. Following the Secretary General and offering messages of condolence, solidarity and peace were Archbishop Auza, the Papal Nuncio and Permanent Observer of the Vatican to the United Nations; His Eminence Timothy Cardinal Dolan, the Roman Catholic Archbishop of New York; the Rt. Rev. Clifton Daniel III, Dean of the Cathedral of St John the Divine; the Very Rev. Father Daniel Findikyan, Diocesan Primate for the Eastern Diocese of the Armenian Church of America; Sheikh Musa Drammeh, Chairman of the Islamic Cultural Center of North America; and the Consul General of Israel in New York, Ambassador Dani Dayan. 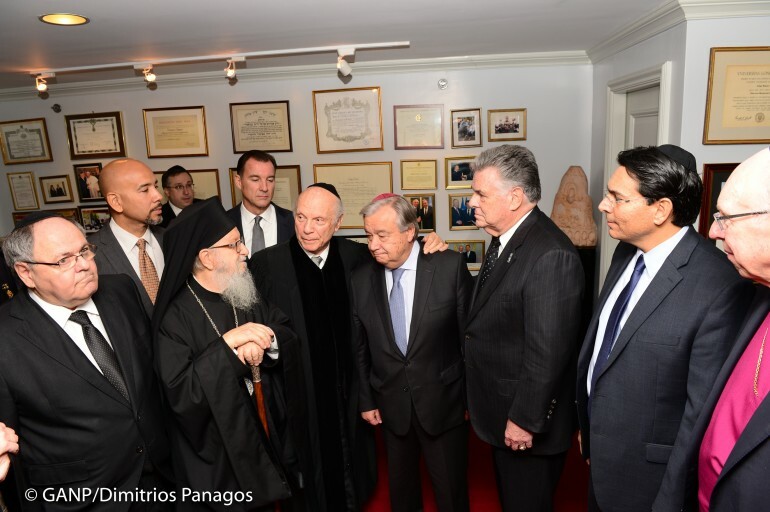 His Eminence Archbishop Demetrios, Primate of the Greek Orthodox Church in America said that “no proper words can express my sorrow and that of the Greek Orthodox Community in the United States,” and reiterated the unequivocal condemnation for the acts of hate, evil and violence. 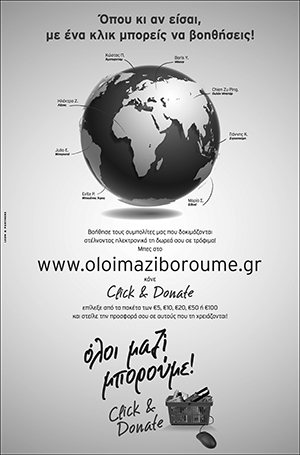 The Archbishop talked about his personal connection with the “Tree of Life Synagogue” back in 1965, and then added that the Pittsburgh massacre brought back very bitter memories from the Summer of 1944, when during the Nazi occupation of Thessaloniki, Greece; close to 60,000 Jews, friends, classmates and neighbors were forcefully loaded to trains for a horrendous trip which ended in the crematoria of Auschwitz. Furthermore, Archbishop Demetrios, in his personal meeting with Rabbi Schneier, conveyed the condolences and the very sincere feelings of sympathy of His All Holiness Ecumenical Patriarch Bartholomew, who is a true universal apostle of reconciliation and peace, and has visited the Park East Synagogue in his 2009 US Patriarchal Trip. Also present at the gathering were other religious leaders, political and diplomatic dignitaries, police and community representatives.